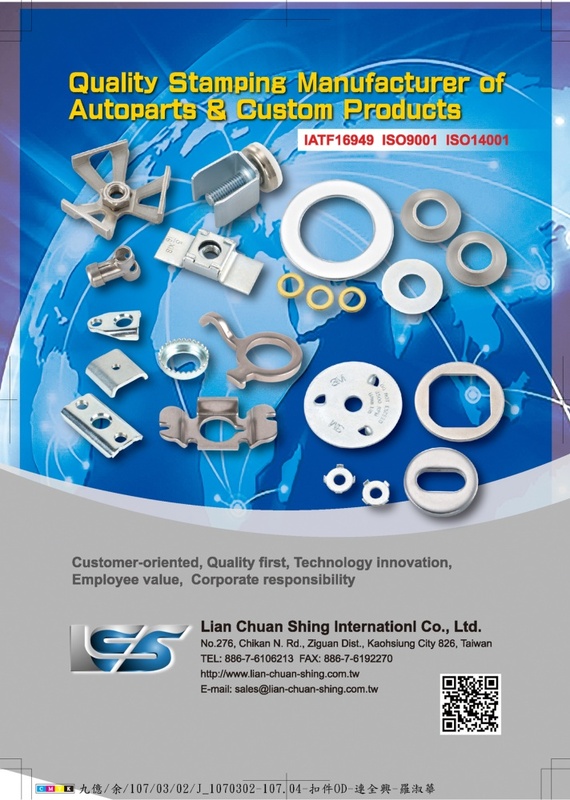 Lian Chuan Shing (LCS) was founded in September 1996, and specializes in manufacturing washers and metal parts. Continuously offering innovation and improved technology, the company has a firm belief in being customer-oriented, quality first, technology innovation, employee value and corporate responsibility. Armed with the study and persistence in quality, the company makes products that are widely trusted by both the domestic and foreign customers. To enhance the competitiveness and service quality of the company in this era of rapid change, we began to implement ISO 9001 since 2003, and subsequently passed ISO 9001, IATF 16949 quality management system certification. In addition to the commitment to the continuous improvement of quality management, we also fulfilled our corporate social responsibility, implementing ISO 14001 and OHSAS 18000 and obtaining ISO 14001 environmental management system certification. In recent years, we gradually increase both the depth and breadth of our business, improve manufacturing skills and offer more value-added products, making automotive fasteners that can be used by the world's major automakers. We can offer customization and all kinds of washers and parts to meet the customer demand. We solve problems to improve ourselves, and we hope to grow together with our clients and suppliers, forming a trustworthy business partnership.